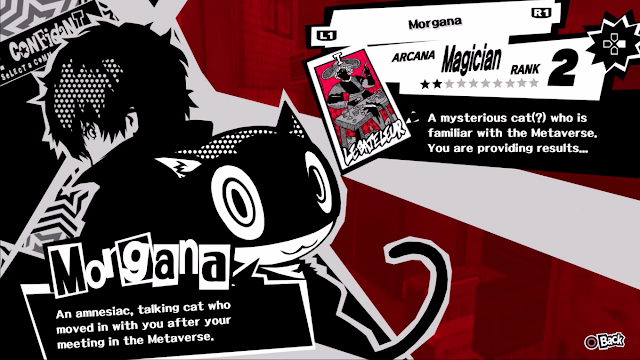 If you’re anything like me, anything described as a magical girl JRPG mixed with Persona is almost guaranteed to be something I’ll be interested in. This was how I heard people describing Blue Reflection before I bought it and pretty much sealed the deal for me getting it, but I didn’t realise just how many similarities there would be. When I began to really see these similarities in Blue Reflection, I became a little skeptic at first. While the idea of magical girl Persona was why I bought it, I’m usually not interested in something that blatantly rips off story ideas. Luckily Blue Reflection for the most part makes the ideas it seems to have borrowed original, but I found the similarities interesting nonetheless, so I wanted to talk about the parallels between Blue Reflection and Persona 5 and how the two good games are similar, yet different. Blue Reflection and Persona 5 both share the concept of big dungeons created from people’s joint hearts and shared state of mind. Persona 5’s version of this is Mementos, a train station multi-floored randomised dungeon separate from its individual ones that is described as a collective consciousness of the people. Blue Reflection’s other world The Common is quite similar to this as essentially another collective consciousness, but this time with the high school in Blue Reflection as the core. 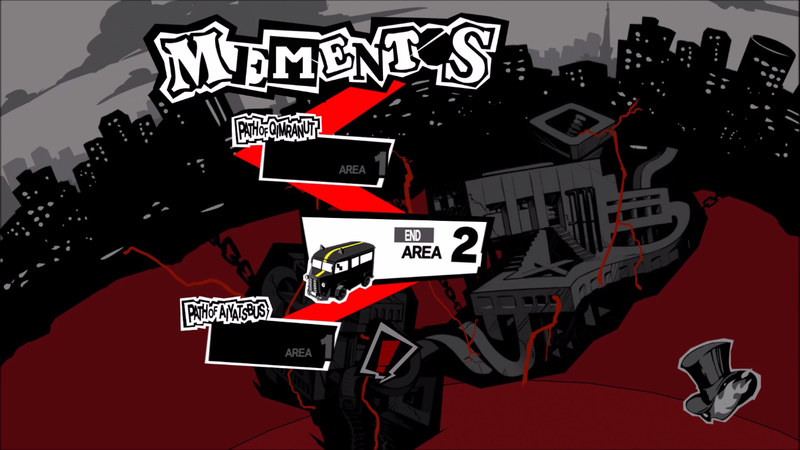 Both dungeons essentially represent the heart of their respective world, although the way dungeons are divided to suit each game’s theme shows the main way Persona 5 and Blue Reflection differ. 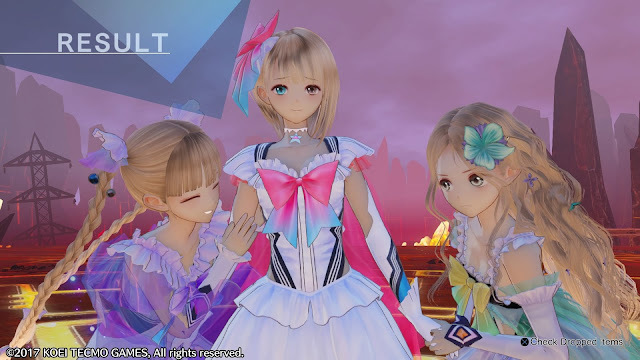 Blue Reflection’s core theme of emotion ties in with the way The Common is split into zones such as Sorrow, Anger and Fear, while Persona 5’s theme of justice means that outside of Mementos, dungeons take inspiration from the Seven Deadly Sins, which also goes well with Persona 5’s theme of corruption with themes such as Lust and Greed heavily represented in their respective dungeons and Mementos taking inspiration from this concept as well. The idea of the ‘people’s dungeon’ from Persona 5 definitely came to mind when I was playing Blue Reflection and while they both differ dramatically visually, the concept is certainly similar when comparing the two. Another shared similarity in the core concept of Blue Reflection and Persona 5 is the shared goal of stealing hearts. After all, in both games the main goal of dungeon crawling is to find the heart of the person represented in the dungeon and use it to gain power in some way. This is at least made a bit less similar thanks to the use of different themes again, with Persona 5’s purpose of stealing hearts being linked closely to the corruption in someone’s heart, while in Blue Reflection it's to fix emotions going rampant. For both games though, the core purpose of stealing hearts can be summed up as almost the same: to settle what is wrong with the person of interest, whether it be emotionally or with their morals. The process of this in both games differs a bit, with Persona 5 focusing on the journey to finding the heart and adding to the story on the way, while Blue Reflection's version feels like more of a quick fetch quest. I prefer the way Persona 5 added a lot of story while doing this task as it made it feel fulfilling, but Blue Reflection’s emotive final story moments of stealing hearts do make it feel worth it. Bonds and social sim elements aren’t necessarily exclusive to the Persona series, but the inclusion of this element in both does make it easy to draw another similarity between Persona 5 and Blue Reflection. In the two games, bonds are a highly important part of strengthening characters well. Both games do it much more differently to their dungeon crawling aspects, but mixed with everything else it still makes the two feel similar. In Persona 5, your bonds are the keys to unlocking special abilities and Persona’s, the beings that fight alongside you in battle. In Blue Reflection however, you don’t need Personas or special beings to fight with you because you are basically the magical being since you’re a magical girl, however bonds give the all important fragments that help boost your skills and therefore are still important. They also are the only way to level up in Blue Reflection, so they’re absolutely vital to having a chance at the more difficult boss battles. While their systems of bonding might be pretty similar since you can choose what to say in conversations a lot of the time, along with the general concept of getting to know the people in the world around you, the way they affect combat is very different and makes it easy to distinguish the two. I like receiving EXP in battle rather than on the field, so I tend to prefer Persona 5’s social aspects, but the characters in Blue Reflection are worth getting to know with their interesting and amusing personalities. With all the similarities, it's hard for me to feel it’s a coincidence that the two girls that guide you in Blue Reflection are blonde twins when thinking about the Velvet Room twins from Persona 5, even if it might sound a little odd to say. While the two sets of twins are quite different in personality, they serve fairly similar roles in a few ways. Both teach the protagonist how to use their power with varying closeness, are incredibly mysterious until late in the story and have a light and shade dynamic as twins. While Blue Reflection’s Lime and Yuzu are definitely more present than Persona 5’s Justine and Caroline, you unfortunately can’t form a proper relationship with them in the social system, making them still carry an air of mystery for a majority of the story. For both sets of twins, I felt like I’d just started getting to know them right before the game ended and still want more time with them. Although I like the Persona 5 twins story, the personalities of Yuzu and Lime in Blue Reflection still makes me wish I could’ve spent more time with them and I liked even feeling a little close to those two, interesting characters. On top of the more noticeable similarities between Blue Reflection and Persona 5, there are a few other things in Blue Reflection’s gameplay and flow that reminded me of Persona 5. While not unique, the two games allow players to choose activities to do in the day and night time slots, often revolving around bonding with friends. Blue Reflection does put a little more focus on Hinako at night for fan service reasons, but during the daytime I often found myself doing very similar activities available in Persona 5 and Blue Reflection, such as running around collective consciousness dungeons or taking girls on dates for bonding purposes. 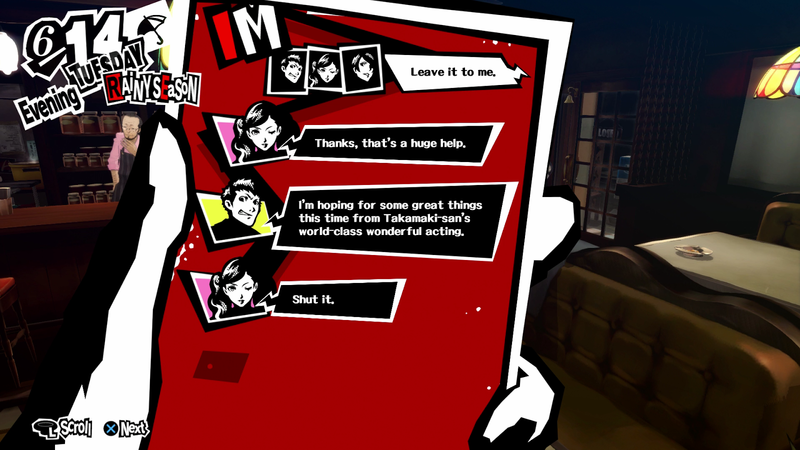 There’s also texting in both games during and between social times and although I liked Persona 5’s more interactive version a little better, both gave little moments of amusement when getting to know characters. As a Persona 5 fan, these things made getting comfortable in Blue Reflection very easy and rather than think they’re overly alike, since it’s a style of gameplay I like, I think it probably made me enjoy Blue Reflection’s take on the more. And Blue Reflection does add its own set of activities like smartphone games and conversation hunts that are very unique, and Persona 5 has its own part-time job system that is nowhere to be found in Blue Reflection, so there is plenty unique in daily activities to make the two feel different. 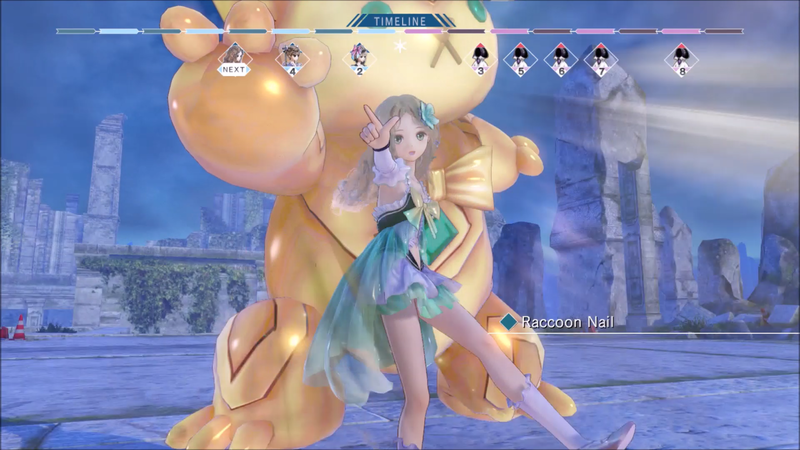 There’s a reason why people call Blue Reflection "Magical Girl Persona", but I still think there’s plenty of uniqueness thanks to the tones of these games. 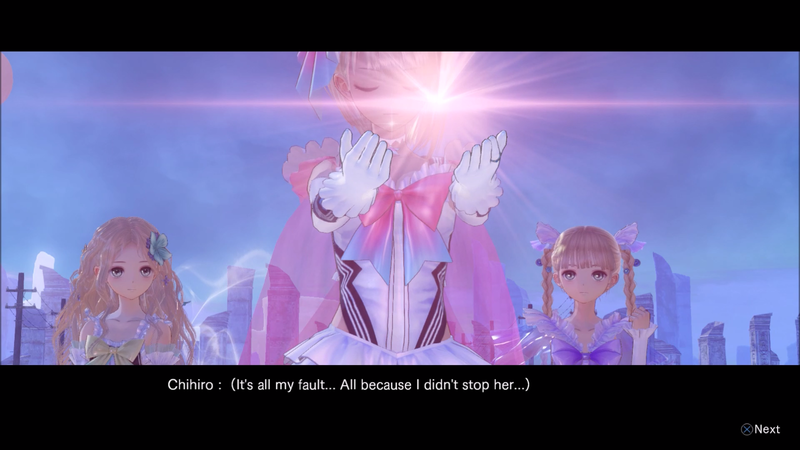 While both are JRPGs with high schoolers stealing hearts, Blue Reflection’s focus on the emotional side of its characters makes its use of similar concepts original enough for me and I think both games have the potential to appeal to fans who are both familiar or unfamiliar with the Persona games. Whether or not Blue Reflection was actually heavily inspired by Persona 5 I don’t know for sure, but regardless, I think Blue Reflection is a fairly good example of how similar concepts can be used and given a new theme to make a new take on them. You can find both games mentioned in this post on Play-Asia.com! Did you notice any Persona 5 similarities in Blue Reflection? What are two JRPGs you think are very similar?